Silky Sparkle Rugs. This sparkling range offers modern bright colours in ultra popular light reflecting yarn. Silky Sparkle rugs are handmade in China using 100% soft polyester yarn, with a mixture of thick and thin pile which is 5 centimetres in length. 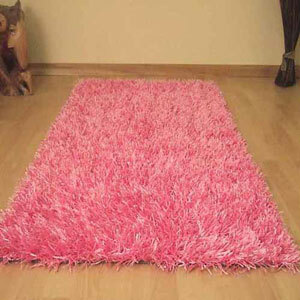 Silky Sparkle rugs are very versatile and can be placed all over the home from living-rooms to playrooms.